Last year, the Common Council budgeted $50K towards salary raises of three City officers – the City Treasurer, City Clerk, and Code Enforcer. This raise increase was due to take effect on January 1, 2018 and totaled approximately $25K. In October 2018, the raises had not been paid and a resolution appeared on our (the Common Council’s) desks to pay the raises retro-actively, in accordance with the resolution passed last year. There was a question regarding the remaining funds from the budgeted $50K. It was understood that the difference (about $24K) would be applied to raises for the permanent part-time employees of the City. However, when the resolution was introduced this month, the permanent part-time employee salary increase was to be retro-active to January 1, 2018, with the total expenditures of approximately $73,790. This was over the budgeted amount, and the difference was to come out of the Fund Balance account – which is the City’s reserve account for expenses. I voted against this resolution. I am in favor of a $15/hour pay increase to City’s permanent part-time employees, but feel that the raises should be retro-active for about two months – not ten – in order to stay within the City’s approved budget, and not raid the fund reserve account. Health insurance costs for City workers – present and past – increased by about $200,000 within the past year. A floating rate of interest on the lease/mortgage of the Central Fire Station is costing the City another $56K this year, and we expect more next year. The increase to the permanent part-time salary employees is going to cost approximately $100K next year. We live in a City of about 6,400 people with a declining population with no new major development to increase the tax base. My concern is that taxes during this budget cycle will increase again. My greater concern is that spending and taxes are increasing in relatively good economic times for the City and that we may not be prepared for a downturn in the market. “Cobra” Street Lights – The City should own the large “cobra-like” street lights as opposed to renting them from National Grid. In DPW meetings, we have discussed that the City now spends about $160K/year renting the lights from National Grid, plus about another $40K in electricity costs. If the City owned the lights (which would cost about $600K to buy them), we would save the rental costs over time. Plus, it would then make sense to replace the current sodium bulbs (that we would then own) with LED lights. This would significantly decrease the electricity costs and triple the bulb’s lifetime. This solution was raised by the the head of DPW and is currently being pursued by the DPW department. 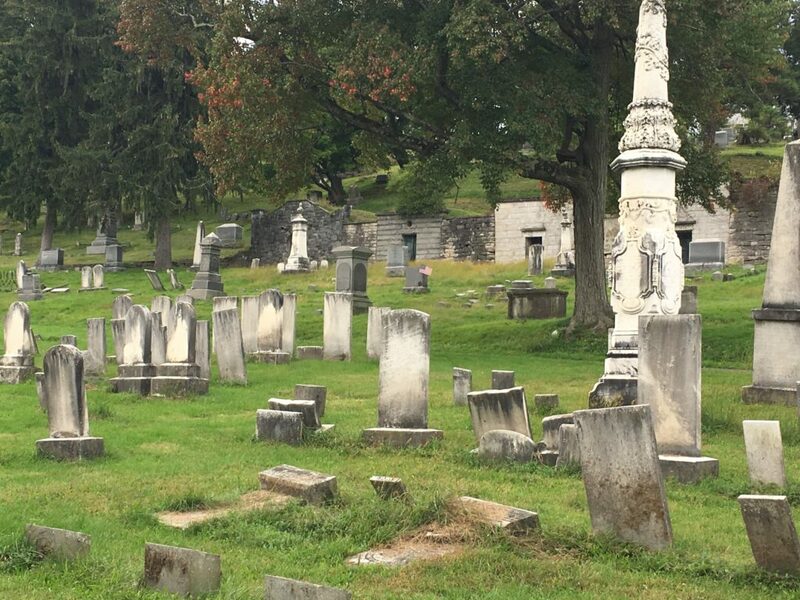 Cemetery Maintenance Costs – By law, the City must maintain the Hudson City Cemetery. As people buy plots of land, funds go into a Cemetery Reserve account – not to be touched. In theory, the interest on that account is supposed to pay for the Cemetery’s maintenance. However, over time, interest rates have gone down, and maintenance costs have gone up. Currently, the City is “in-the-hole” for about $200-300K/year. There is a Cemetery tour on Sunday, Oct. 28 at noon, sponsored by the Library. You can sign up by sending an email here. I am planning a Friends of the Cemetery Group meeting on Tuesday, Oct. 30th, at 6pm at the Library. The focus will be on how volunteers can help raise funds and volunteer. I recently visited the Oakwood Cemetery in Troy with Peter Jung. That cemetery – 300 acres – operates on approximately the same budget as our 70+ acre cemetery – with NO tax-payer funds! Oakwood has a board of trustees that raises funds through various events and outreach within the community. Other solutions such as sheep or goats, as opposed to lawnmowers and weed wackers, are in use by other cemeteries throughout the country. This would help free up DPW resources dedicated to maintaining the cemetery, that could then be reallocated to other needful city projects such as cross walks, sewers, sidewalks, etc. Solar Panels and more efficient lighting. Although less in savings, there are a few other projects that I am also working on for the city to help save money. The City will be receiving a grant from NYSERDA for $35K that I completed as Chair of the Economic Development Committee. The grant has a lightbulb exchange program for residents as well as City solar panels to help defray electric costs. I am working with one of our local solar energy providers to assess our lighting needs throughout the City and replace our incandescent light bulbs with LED bulbs wherever we can – parking lots, basketball courts, city buildings. As Alderman and Chair of the City’s Economic Development Committee, I’m working with NYSERDA and the DEC on additional grant applications for the City. This past summer, there was an incident where someone left their dog in a hot parked car, over 90 degrees, in the sun, windows up. There have also been incidents in Hudson where dogs have died. Police in the City receive dozens of calls on this issue every year. I learned that the City does not have a law on the books, however, we defer to the New York State AG & Markets law. The person who leaves an animal in such extreme conditions (extreme hot or freezing temperatures) will receive a fine of between $50-100. I did not think that this was a sufficient fine. It is not right that an animal should suffer so much and that the fine only be $50. I asked the Legal Committee to draft a law that would raise the fine to $250. The second offense is $500. The City law would be very similar to the NYS law, however the fine would be higher. Last night, the Legal Committee decided to move forward with this legislation and it will be presented to the Common Council. 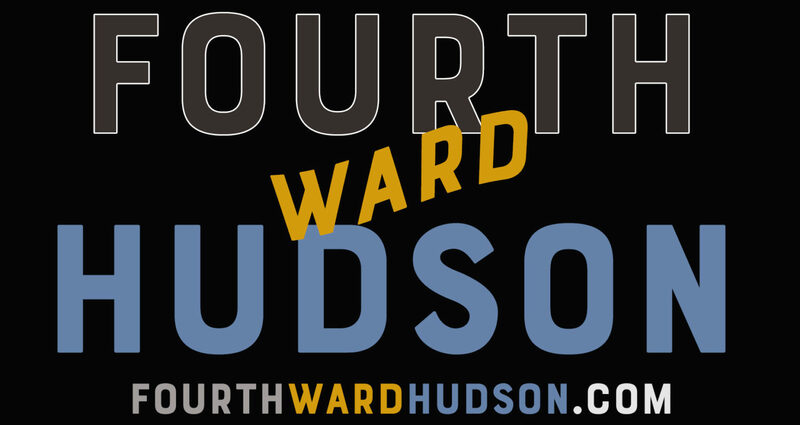 Once passed, I plan to do an educational campaign in Hudson regarding the new law. This law was passed by the Common Council. I hope that this law can help raise awareness that animals cannot be left in a vehicle in extreme temperature conditions. Please bring your ideas and enthusiasm! The City of Hudson, New York has been designated a Clean Energy Community by the New York State Energy Research and Development Authority (NYSERDA), recognizing its leadership in reducing energy use, cutting costs and driving clean energy locally. Announced by Governor Cuomo in August 2016, the $16 million Clean Energy Communities initiative supports local government leaders across the state by providing grants to eligible municipalities to implement energy efficiency, renewable energy and sustainable development projects in their communities. Clean Energy Communities advances the Governor’s Reforming the Energy (REV) strategy by demonstrating the importance of communities in helping New York reach its Clean Energy Standard mandate of having half of the state’s electricity coming from renewable energy resources by 2030. The City of Hudson received the designation for completing four of 10 high-impact clean energy actions identified by NYSERDA as part of the Clean Energy Communities initiative. In addition, the designation gives the City of Hudson an opportunity to apply for up to $35,000 toward additional clean energy projects, with no local cost share. Benchmarking – Adopted a policy to report the energy use of buildings. Unified Solar Permit – Streamlined the approval process for solar installations. Energy Code Enforcement Training – Trained compliance officers in energy code best practices. Energize New York Finance – Offered energy upgrade financing to businesses and non-profits. Cities, counties, towns and villages that complete at least four of 10 high-impact clean energy actions are designated Clean Energy Communities and are eligible to apply for funding of up to $250,000 with no local cost share and the option of receiving up to 25 percent paid in advance to support additional clean energy projects. At least two of the four actions must have been completed after August 1, 2016. NYSERDA is accepting applications for funding on a rolling basis through September 30, 2019 or until funds are exhausted, whichever comes first. Funds are being provided through the Clean Energy Fund and the Regional Greenhouse Gas Initiative. The City of Hudson grant is supported by Lafarge Mitigation Funds, which are available for local governments in Albany, Rensselaer, Columbia and Greene counties. This additional funding is made available through the settlement of a lawsuit by the State of New York against Lafarge North America, Inc. Performing energy efficiency and renewable energy upgrades to municipal buildings. Implementing Community Choice Aggregation (CCA) so residents can gain greater choice and control over energy use a group. Earning Climate Smart Communities Certification through the Department of Environmental Conservation (DEC) for developing a comprehensive program to reduce its carbon footprint and improve the environment. Undertaking a community-based Solarize campaign to reduce solar project costs through joint purchasing. Installing electric vehicle charging stations and using alternative fuel vehicles, such as hybrid and electric cars, for municipal business. Converting streetlights to energy efficient LED technology. Once all funding is exhausted for large or small/medium categories in a region, local governments designated a Clean Energy Community are eligible to apply for a $5,000 grant, on a first-come, first-serve basis until such funds are exhausted. Clean Energy Community Coordinators are also available at no charge to help communities develop and prioritize clean energy goals, access easy-to-use resources such as guidance documents and case studies and take advantage of available funding and technical assistance opportunities. For more information on Clean Energy Communities, visit www.nyserda.ny.gov/cec. Local government officials or employees can find contact information for their respective coordinator here for assistance navigating the program.